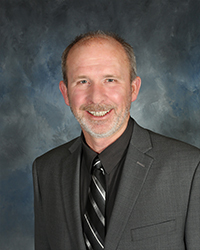 Kevin is the Chair of the Board of Trustees and resides in Stanton, IA. 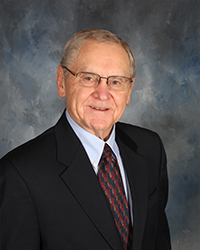 He is the General Manager & CEO of Farmer's Mutual Telephone Company where he has been employed since 1983. Kevin holds several leadership positions within the telecommunications industry and local area organizations. His interests include family, faith, community, sports and Husker football. "My favorite thing about MCMH is the professional staff working together to provide excellent care to residents of Southwest Iowa facing health issues and needing help," said Kevin. Sarah is a Vice Chair on the Board of Trustees and currently resides in Red Oak, IA. 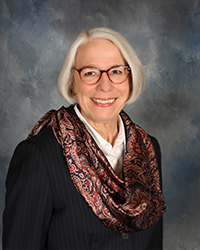 She is a lifelong resident of Montgomery County and graduated from Beloit College and Iowa State University. She enjoys gardening, reading, spending time with family and traveling since her retirement from Southwestern Community College. "My two favorite things about MCMH are seeing the growth in medical services available to Montgomery County area residents and the pride hospital employees take in their work. It is very satisfying to see the progress the hospital has made over the years and it is very evident that our clinical and support staff care deeply about our patients and continually try to improve the care and service they provide," said Sarah. 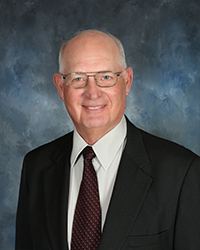 Ken is the Treasurer of the Board of Trustees and resides in Red Oak, IA. He is a college graduate in construction & finance and is retired. Ken's interests include family, sports, gardening and traveling. "My favorite thing about MCMH is the services, caring people, and convenience," said Ken. 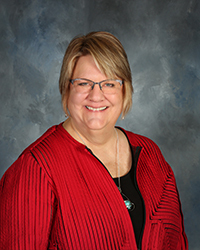 Lorin is a Secretary on the Board of Trustees and resides in the rural Stanton/Villisca Area. He is a graduate of Stanton High School, Clarinda Community College and Iowa State University. Lorin has been farming for 37 years and raises row crops and has a cow/calf operation. He has been a part of many service organizations including Villisca Ambulance Service, Washington Township Trustee, First Presbyterian Church member and cub scout/boy scout leader. His interests include camping, fishing, hiking, backpacking, watching college sports, especially the Iowa State Cyclones and spending time with his family. "My favorite thing about MCMH is the friendly, caring, professional people who make up the entire staff of MCMH," said Lorin. Jim is a Director on the Board of Trustees and resides in Villisca, IA. He is a graduate of Villisca High School and University of Northern Iowa. Jim is the Vice President of Houghton State Bank. His interests include fishing, hunting and traveling along with spending time with his wife, 5 children and 9 grandchildren. "My favorite thing about MCMH is the employees and their high standards of health care. 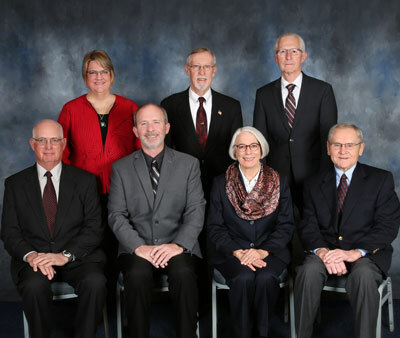 MCMH is second to none and it is because of our dedicated employees," said Jim. 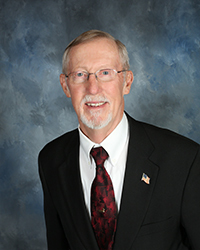 Roger is a Director on the Board of Trustees and resides in Red Oak, IA. He has a background in banking, finance, insurance sales & adjusting and is retired. Roger's interests include family, church, mission work and volunteer work. 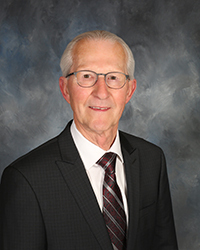 "My favorite thing about MCMH is the caring employees and great services offered to the area, " said Roger.